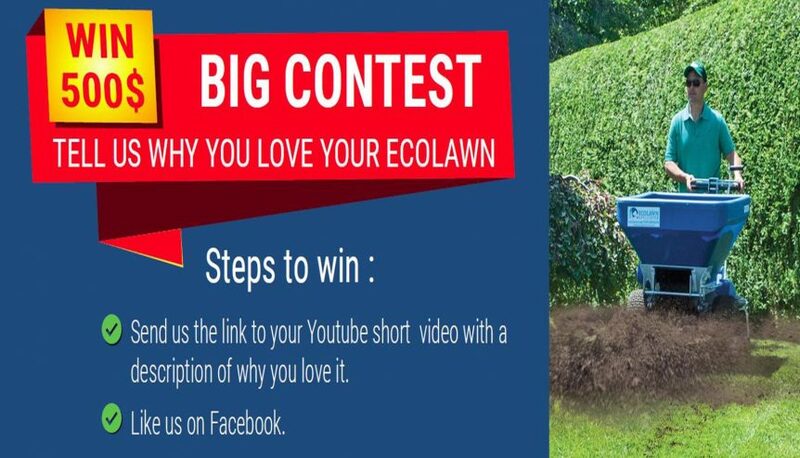 Simply make a home video about why you love your Ecolawn Spreader and show yourself working with it and scenic views if possible. The video is then to be sent to Ecolawns facebook page. You must also like Ecolawn on facebook to be eligible. The winner will be chosen by the biggest amount of likes and shares of the video.